Altra Federal Credit Union is proud to bring you Banzai, the financial literacy program used by millions of teachers and students around the country, to you and your home, for FREE. Experience real-world financial literacy in a fun, safe way with Banzai Teen. *Program now available en español. Banzai Teen is designed to teach teens what real-world finance is like. It is an interactive simulation that is all about trial-and-error. Teens make choices and experience the consequences of their decisions in a fun and safe environment. Unfortunately for so many of adults, we have had to learn these hard lessons through real-world choices and deal with the consequences. With Banzai Teen, hopefully teens will be better informed and more importantly better prepared to make the right choices when the time comes. Banzai uses real-life examples to help teach concepts like budgeting, making money, expenses and even complex topics like insurance and credit. 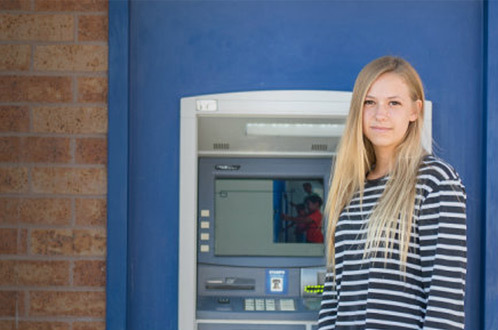 Banzai Teen creates conversations and instills healthy attitudes toward finances at home. As a bonus – once a user completes the program, a Certificate of Completion will be presented on screen with instructions on where to fill out a registration form for our monthly drawing for a $50 VISA gift card. Get Started with Banzai Teen!